Although we live in a relatively dry climate in Western Montana, mold is still a fact of life. Whether you have mold issues in your house, business, or another property you own; the key is having the issue handled safely and properly. Although we aren't the only mold removal solution located in and around Missoula, we are the only mold remediation company that offers demolition free mold removal services utilizing our patented two-step process. Our Dry Fog technology is the missing link between your mold issue and ensuring you and your loved ones remain safe and mold free. Mold can be very tricky and sometimes located in places that are hard for you to see. If you have had issues with water, or think for other reasons you may have mold growing, our certified mold inspection specialists can come to your location, inspect your situation, and provide you with a full report of their findings. You will know if you have a mold issue or not. If you do, you will receive a full report of the kind and detailed removal recommendations. Unfortunately, water damage can happen to the best of us. Water pipes can burst unexpectedly, appliances may leak, flood waters may enter your property, or a host of other situations. The key to minimizing the effects of water damage on your property is timely response, mitigation, and restoration. We have trained and certified technicians to help you in in your time of need. There are many things that are important in life, and one of the most critical is the air we breathe. The quality of the indoor air we breathe is often over looked; but, critically important to our safety and well being. Common causes of poor indoor air quality are indoor pollutants (such as oil, gas, wood, deteriorated building materials, etc. ), excessive humidity, poor ventilation, and poor outdoor air quality conditions (gases, particles, smoke, etc.). 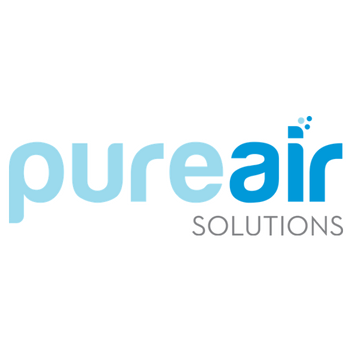 Would you like to know the quality of your indoor air? We have all heard the saying, "an apple a day keeps the doctor away." Well, a properly installed moisture barrier in your crawl space helps keep moisture from entering and could help prevent catastrophic water damage. With crawl spaces (typically) located underneath your home or business, our moisture barriers help to prevent moisture buildup which could lead to mold issues down the road. A moisture barrier can be a simple step to take in preventing a number of problems in your home. We love our pets; but, often they can leave behind an odor that isn't so pleasant. That is where our professional odor removal services come into play. Our trained technicians eliminate pet odor, smoke odor, and just about any unpleasant odor. So, whether you are looking to have odor removed from your home, business, or even a rental property, we have the tools to get the job done! Cleanliness is important to long term health; but, sometimes the traditional spray and rag just doesn't do the trick. That is where our sterilization services work perfectly! Whether you need a deep clean of your daycare, gym, or any other property; our professional sterilization services are just what you need. Our processes ensure that every corner of your property is cleaned and sterilized to the highest standards leaving an antimicrobial barrier in place to continue the fight for months ahead.